As a first time homebuyer I was nervous and nit-picky about everything. Dena was the calming voice of reason that helped me wade through the flood of options and eventually find the perfect place. I’ve already been bragging to friends about how helpful Dena was (and recommend her to people looking to buy in the area) and will most definitely be calling her when it comes time for me to start looking for a bigger place! Dena is outstanding! She listed our home for sale and also helped us buy our new home. Her marketing of our home got us 5 showings in the first two days, followed by 2 offers! She also always met us without hesitation any time we wanted to go look at our new house we were purchasing. She was knowledgeable about the houses in the area and especially the house we purchased. Dena was always calm, went above and beyond for us, and did anything and everything we asked of her. 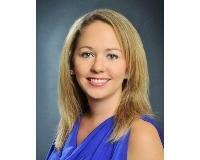 I would highly recommend Dena to anyone looking for a real estate agent in the Charlotte area. Dena was the best. From beginning to end on the sale of our home and the purchase of another, Dena was the consummate professional. I work in high-end customer service and I recommend Dena to co-workers on the less expensive side of the housing market as well as clients that are spending 7 figures on a house. Both sets of customers come back to me with the same comments: Dena did what she said she would do and when she said she would do it. She under promises and over delivers on a regular basis. Thanks Dena! Working with Dena was so easy and convenient. She has extensive knowledge of the areas we were looking. Dena was willing to take the time, as much as we needed, to ensure we found the perfect place to call home. We are so excited to begin construction on our new home, thanks Dena! 3 months and many homes, Dena walked me through the market to find the perfect home for our family in the area that we wanted. Even when I felt pressured, she assured me to stick to the plan and not waver; she is calm, trusting, and full of knowledge. I am still working with her and look forward to more homes in the future  I cannot thank her enough. Dena is one of the most patient and dedicated realtors you could ever hope to meet. We had a long, drawn-out, very difficult time making our home purchase (because of personal circumstances) but she was always helpful, persistent, and available. We would highly recommend her to anyone; she did absolutely everything we asked and more. My husband and I are so thankful to have met her.